Off Grid Batteries - Off Topic - Drive On Wood! Won’t that make your battery bank harder to disassemble when it’s time to change out one unit? You will have to put quite a bit of heat into the connections to do the soldering. Any fear of damaging the cells? I had a friend who worked in an AT$T microwave tower many years ago and they didn’t solder the battery connections. Maybe the thing to do is to read the voltage between each cell post and its cable to look for potentially poor connections, then correct any problems there. I don’t know if your batteries have lead or lead-bearing posts and connector ends, like older cars. but if they do, you’d be soldering lead to lead with, probably, a lead bearing solder. Wouldn’t that make those connections almost impossible to separate? Agreed. I often cover the terminal with grease to stop moisture from getting into car battery terminals avoids alot of issues later. The problems with soldering heavy wiring and bus-bar is the amount of heat needed and it makes easy systems alterations difficult. You might damage your batteries or other expensive bits. The very small, (if any) drop in resistance would not be worth the trouble. Put your money and time into heavy cable, brass and/or copper bus-bar, good battery terminal connectors, stainless steel or copper bolts, nuts, washers, etc. Buy marine grade stuff if you can afford it. Once bought and well taken care of, will last a long time! I will go with consensus and reassemble with dielectric paste . I am using copper buss bars rather then cables . The installer put in cables between banks and inverter . I have a few months on free replacement .There are no issues with batteries . just bad system design . I need a 240 to 48 volt power supply that is same as outbackpower radian in charger mode, that is two 120 volt chargers two 55 amp 48 volt 120 volt chargers . But I do not want to spend any more money on this thing . Have you experienced this ? conecting only generator and grid tie . I checked specific gravity of each cell , consistent reading highest level . battery on 50 watt maintenance charger . I am going to work on wood gas powered generator . which is point of whole project . I will try to get a few more cycles . Hey all. I was just gifted 4 8 volt batteries. 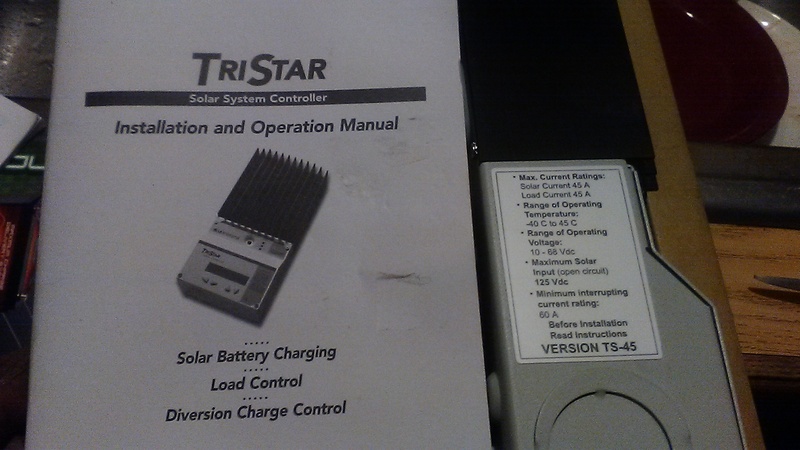 Is there any way to use these with my 12 volt inverter, charge controller and solar panels. I have never installed my panels yet for lack of batteries. Other than thees I have 3 12 volt AGM . I would like to be able to run just a refrigerator for starters. I found that to be the biggest challenge with my six month off grid experience a couple years ago. At that time I used a few ways to charge my AGM’s including my car , an AC generator and chargers and DC generator s powered by charcoal. I really don’t want to add new batteries in the mix with the others and risk ruining the new. I am guessing you are talking about a 4 cell flooded lead acid golf cart battery? Like the trojan T-875, maybe? I know flooded and AGM batteries have slightly different charging requirements, and I do not think it would be advisable to mix different battery types. I have not researched it, though, so that is only like, my opinion, man. That being said, the voltage mismatch will rule out a 12 volt system anyway. If it was me, I would consider setting one of the 8v batteries aside and make a 24 volt system with the other 3 that was completely separate from your current setup. You would need to get more stuff, but you would get redundancy - which I have found is nice to have when you are your own power company. I have only had the “grid” go down once in the last 5 years (and only 2 customers were affected by the outage). As for the fridge, I would highly recommend a chest freezer conversion. You can buy an external thermostat that people use to make beer brewing fridges when they want a temperature range above that of a normal fridge. You can get them for 50$, and then plug in a small 5 cu ft chest freezer with the thermostat set to 38 or whatever. That is what I have been using, and it works great. In the heat of summer when its 90 degrees out it will still only pull about 200 Wh per day. Carl yes they are lead acid batteries. My first thought was 3for 24 volt too. No problem with power outage hear. In 18 years longest outage never over a half hour. That was my tree on only my service. Fortioitnly it was blocking the road so they got right on it. Lights may flicker a few times a year but that’s about it. When I went off grid for the summer I did use the chest freezer for a fridge but never did change the thermostat. That’s something I should gather up just to have. David , here is what I have. The controller appears to be universal. 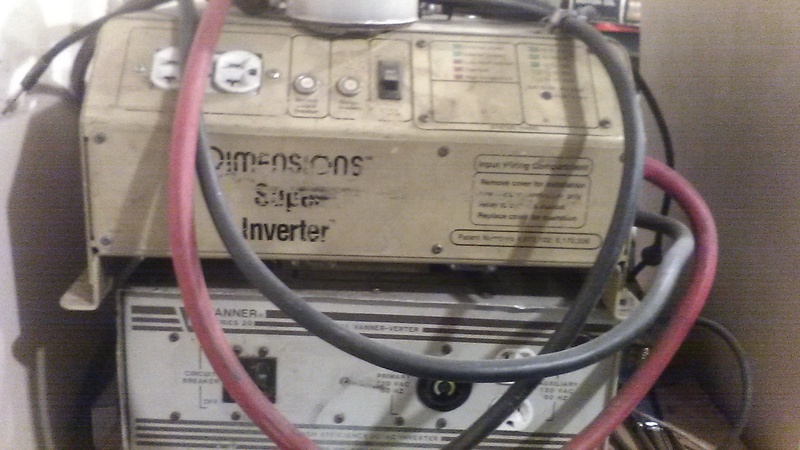 The inverters are from salvage telecommunication vehicles. The batteries were from an antique 32 volt light plant collection. I have 3 240 watt collectors at this time. I am not locked in to a specific load but my refrigerator would be great for the summer. I realize this whole thing is useless here in the winter. Refriduration is not an issue then either. I’m not looking to go off grid just experimenting and trying to lesson my dependency. I like the idea of a 12 volt system because I have charcoal powered charge capabilities as well. 24V to 12V 1.5A 18W. 100% full stable output Current. output current. output power max. ripple and noise (mVp-p). 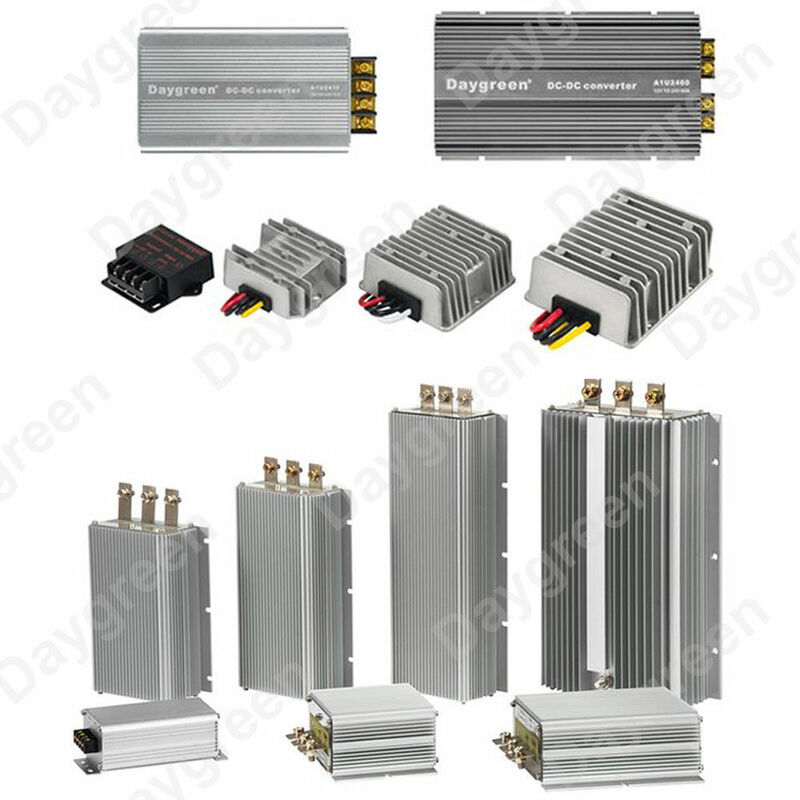 24V to 12V 40A 480W Plus. 24V to 12V 10A 120W Plus. 24V to 12V 30A 360W Plus. | eBay! I would second the idea of not mixing different batteries. The short answer is the entire battery pack gets limited to the depth of discharge of the weakest cell. This is also true with capacitors. I have a fair amount of industrial experience with rebuilding old lasers with large capacitor banks and if you test each capacitor in a couple of banks you can build a new one which is matched and performs much better then the two you started with but in the end they are still used and won’t march a new pack. But the point remains that the weakest unit in a pack of batteries or capacitors will limit the entire pack it will limit how much you can discharge and charge do to leveling issues which can also damage the higher capacity batteries. The stepdown converter David posted actually takes up to 35v input. You can probably use all 4 batteries. the problem sean is that charge controller is a pwm you would have to plug into it load msview and create a custom charge profile program and then find a panel that comes close to it… maybe a 36 volt 60 cell panel… I think the 24 volt setup would work better. Couldn’t you use a boost converter on charge controller outputs? It would charge at 2/3rds speed unless you mucked with it, but it seems like it would work, unless it tried to smooth it with caps. I have been doing some research the last few days on batteries. Has anyone here used the Edsion batteries Nickel Iron chemistry? 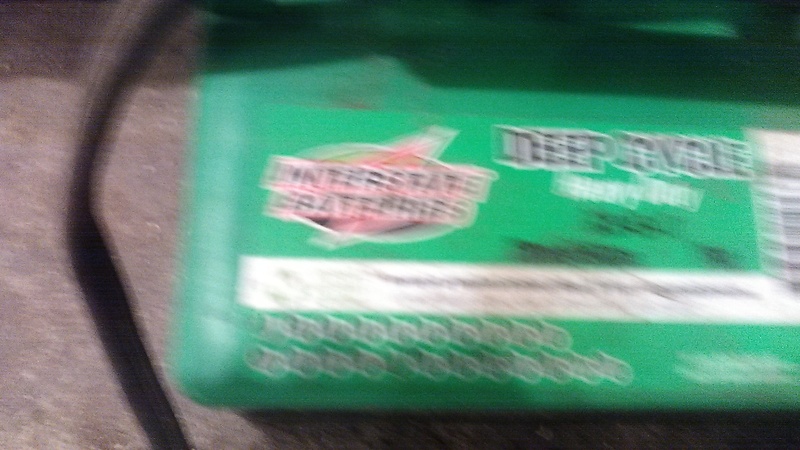 There is a monthly mantaince of topping off the battery water and every 10 years you have to replace the fluid but they are rated 30 to 80 years of life. From what I can see for my entire house to go off grid I need about $11,000 worth of AMG lead acid which would be mantaince free but need to be replaced in 7 years or $15,000 worth of Edsion batteries which could well last longer then my lifetime. It seems like a simple choice to me but I just wonder if I am missing something as everyone seems to be talking AMG or Lithium. As far as I can tell this is simply because people don’t want to do mantaince. Anyway I was hoping someone in here had tried them and could share some first hand experience. I don’t know. That link you shared, every web page says Copyright 2013 at the bottom. There is a phone number, but the testimonials are therefore questionable. 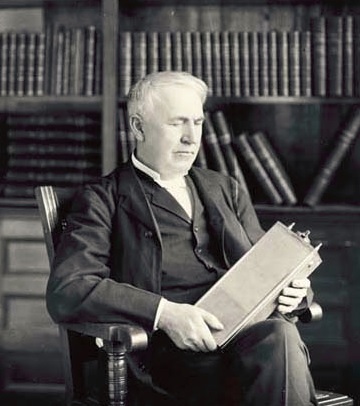 With that said, I think “Edison Battery” chemistry is solid and well tested for stationary installations. Big, heavy and reliable.